I Didn't Pay a Penny for the Security that comes Free with Every FlipBelt! I Didn’t Pay a Penny for the Security that comes Free with Every FlipBelt! 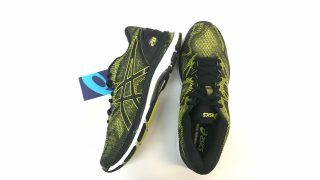 When was the last time an affordable product made your running life easier? If your answer is “never,” the innovative FlipBelt is meant for you! As a running woman, I've taken a lot of flack about the amount of stuff I carry in my purse, so you can imagine the quandary in which I found myself once I began running. I couldn't run without my mobile. And I always carry an inhaler in case my asthma kicks in. Keys? How could I get back into my apartment without them? Then there's my ID, some cash in case I require a latte, and… well, you get the picture. I tried several different waist and arm accessories and now have a graveyard of products stowed somewhere in my closet because one didn’t fit, one caused skin chafing and other wouldn’t hold my oversized smartphone. 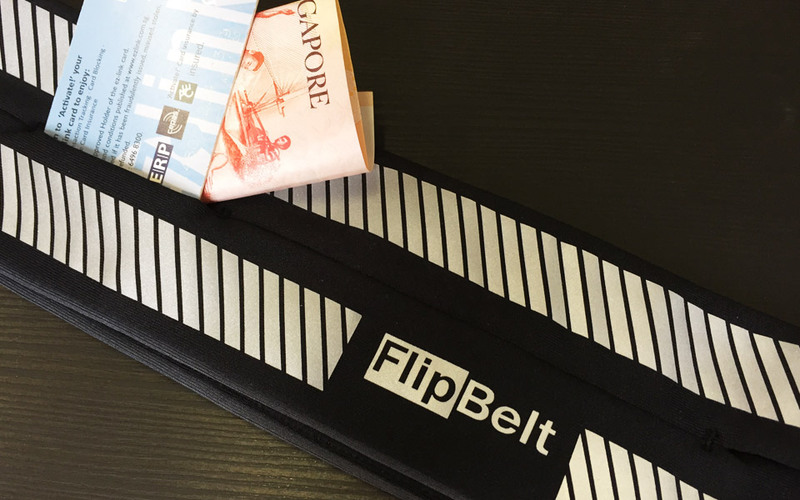 I had given up — until my boyfriend gave me a FlipBelt for my birthday. Romantic? Hardly! But I love it so much, I've forgiven him for not bringing roses. It's the rare runner who sets off in nothing more than the clothing he or she wears because life demands ever-presence. Everyone carries a few items, and too often, they're tucked into shorts pockets. Lots of designers have come up with ingenious solutions, but with each one, I was disappointed by the fit, the feel and the features. Happily, the FlipBelt doesn't disappoint. It stows my essentials safely, so instead of items falling out and leaving a trail of crumbs like the Hansel and Gretel fairy tale, everything stays secure, safe and nothing rattles! This belt neither bounces nor sags, so it matters not how many ravines and trails I conquer, I've yet to be dragged down by the weight of the belt and the items I stuff inside it as I prepare to get my fitness fix. Because it comes in specific waist sizes and stretches to accommodate everything, my FlipBelt expands in relation to the number and shapes of items I tote, thus my days of tucking, adjusting and shifting are over. A primary concern for most of us is, "If I need to contact someone, will I be able to carry my mobile on the go?" 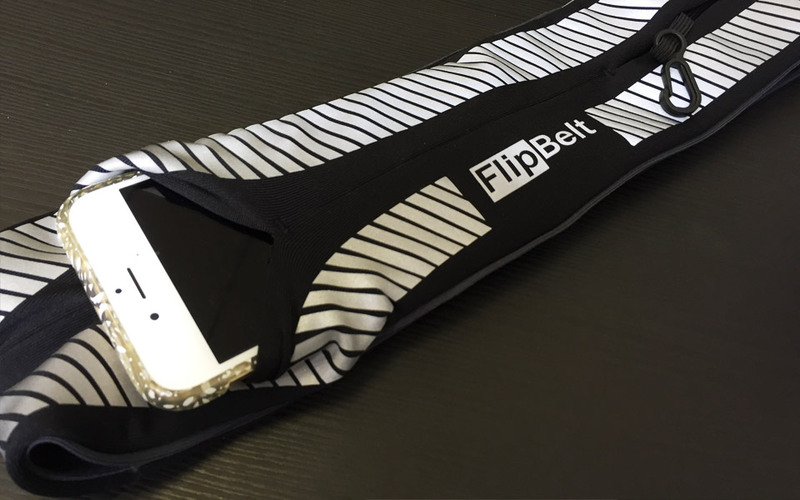 Well, as I quickly discovered, the FlipBelt never met a mobile it couldn't stow, including these popular models: iPhone 6 Plus, 6, 5s, 5, 4s, 4; Samsung Galaxy S6, S5, S4, S3; Samsung Note 2, Note 3, Note 4; HTC One M9, One M8, One M7, One S, One X; Motorola Moto G, Moto X, Moto E; Sony Xperia Z3, Nokia Lumia and LG G4, G3, Nexus 5. If this is a deal breaker for you, as it is for me, your communication needs alone are reason enough to join me as a FlipBelt wearer because I carry a honking big cell! 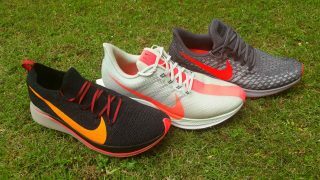 Given a few minutes to compose a list, you could probably come up with myriad items you would carry on your runs regularly if you knew they would neither weigh you down nor chafe your skin. My FlipBelt is usually filled with a mix of items that balance large, small, bulky and not so much: keys, identification, cash, credit card, chap stick, my mobile and my inhaler. My boyfriend sticks his Epi-pen in his belt in case he has an allergic reaction to something he encounters when he goes trail running. 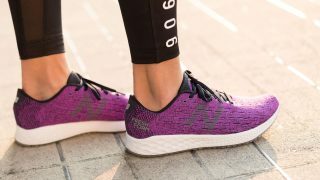 Also read: Merrell Bare Access: Comfort To The Feet! Like you, I have basic needs, a budget and unique storage requirements, and while I didn't have to open my wallet to buy my FlipBelt, I always tell runners (who notice my belt and ask about it) about the four belt styles available from FlipBelt and the accessories they can add if they're into extras. The Classic, black FlipBelt goes the distance and never met a budget it couldn't please. The Zipper style allows you easy access to everything, even on the run. The Reflective PT belt is designed for night runners who worry they won't be noticed in the dark. The Hydration belt comes with custom bottles that snap to the belt; nirvana for those easily dehydrated. 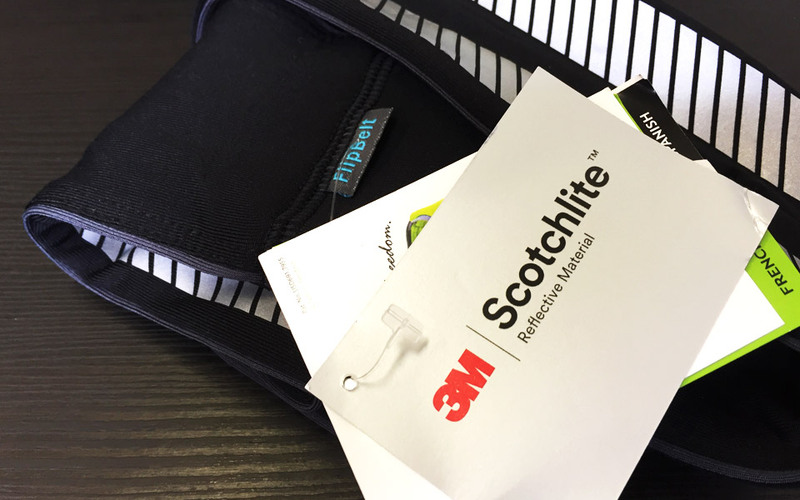 Check out all of the accessories on the FlipBelt website so you know I'm not exaggerating when I say that there's a FlipBelt for every runner. I can slide the FlipBelt on and off like shorts or a shirt with an elastic waistband. My belt's 3M reflective logo would alert people and cars to my presence if I ran at night. The belt is machine washable and dries fast. I occasionally wear it when I run errands instead of bothering with a purse. If you don't like the feeling of wearing anything around your waist, choose another way to tote your stuff. Guys may not love the colours as much as women, though the basic black suits everyone. 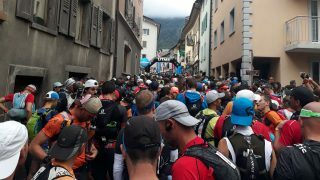 A few runners have complained about the "sloshing" sounds emanating from the hydration belt's water bottles! If you carry too many bulky items, this accessory may not be for you. There's nothing like the freedom of knowing that I can set off on my daily run, compete in a marathon without a care in the world or shop unencumbered because everything I need is tucked into a fashionable accessory that won't divert my attention from whatever mission I happen to be on! The FlipBelt is engineered for anyone seeking a healthy lifestyle. This accessory even comes in sizes to further ensure fit that range from XXS (18- to 21-inch waist) to XXL (40- to 48-inch waist). My boyfriend got me the right size without having to be reminded. 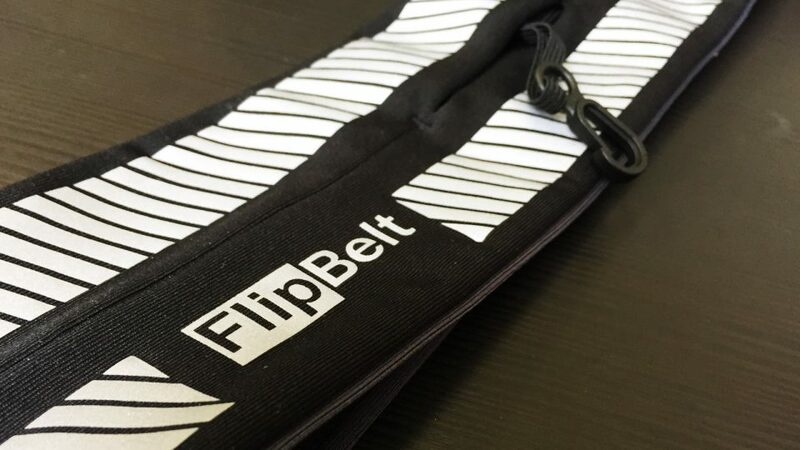 The company producing the FlipBelt is so confident of the product's popularity, they offer a 1-year product warranty just in case something goes wrong. 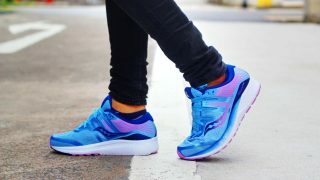 Next to hiring a Sherpa (or my boyfriend) to run alongside me and carry my stuff, I can't imagine an accessory more suited to anyone's running wardrobe! 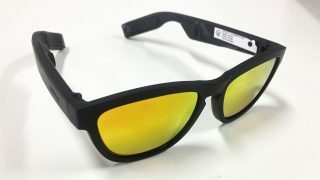 How often are you attracted to a new product only to find that it didn't hold up? If there's a product warranty, do you just blow it off and say nothing, or are you a savvy consumer who's unafraid to return merchandise that doesn't perform as advertised?